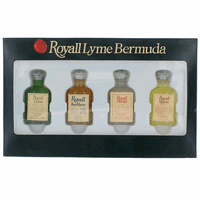 Mini set includes Royall Lyme, Royall BayRhum 57, Royall Muske and Royal Spyce. All are .29 oz (10ml) Splash Bottles. 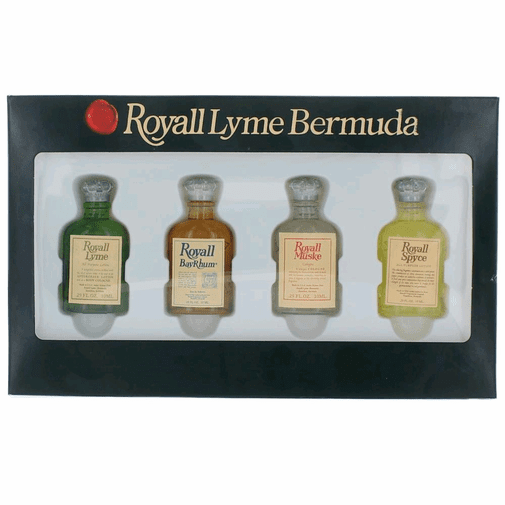 Refined and bold, this collection represents four of our most coveted and classic fragrances. Each evoking the spirit of a stylish, classic, elegant man. The collection features fresh, woody, citrus, and oriental notes that will leave you smelling as good as you feel.